NaturaGart's construction manuals are unsurpassed in detail! The generally available book on garden ponds doesn't contain building instructions for a reason. It shows how ponds work and helps you in your decision which pond to build. 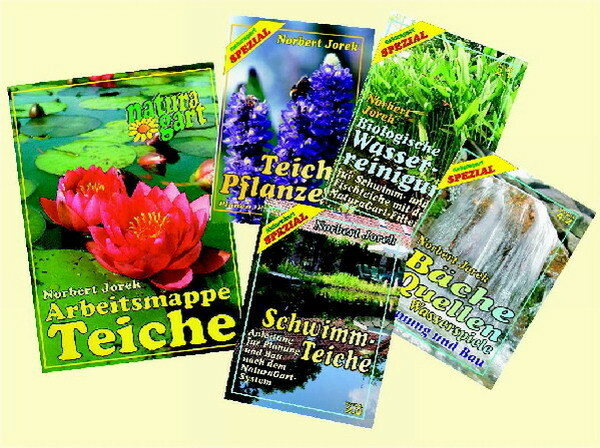 The actual construction manuals are only available for those who have decided to build their pond with NaturaGart. In order to prevent abuse, we charge a fee that is later deducted from your material purchases. These are the most important construction manuals for ponds. Currently they are only available in German. There are always people who come here looking for detailed assistance and who then go and buy a cheap liner elsewhere. We feel misused by this kind of practice, because even market leaders can't give things away. In the end, the honest customers end up having to pay. We've been doing this for 20 years. You tell us what you want to build. We work out for you how much it'll cost. You decide whether you want to buy from NaturaGart. Search Google for 'NaturaGart' and you'll find thousands of links, many of them to our customers' testimonials. 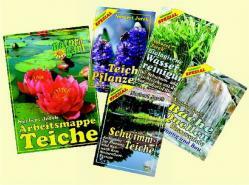 If you have decided to build with NaturaGart Request the manuals that you need. When you purchase your materials from us, they turn out to be free - the full fees are deducted from the purchase price. If you are NaturaGart customer the fees are invoiced with two months time for payment. Most will have built by then - the fees become obsolete - you pay nothing. we collect on delivery or debit your account, if you so wish. Delivery to foreign countries is normally only possible with prepayment. If you have to delay the construction of your pond: No problem! The fees can be deducted up to 5 years later.